If you do a lot of sport climbing a solid gate design makes sense. Bolt hangers can be very unforgiving of lightweight biners, particularly if you are dogging about and taking repeated redpoint falls. The Alpha Pro is robust and strong enough to cope with the typical sport climbing scenarios, but what really makes it stand out from the crowd is its exceptional handling qualities. 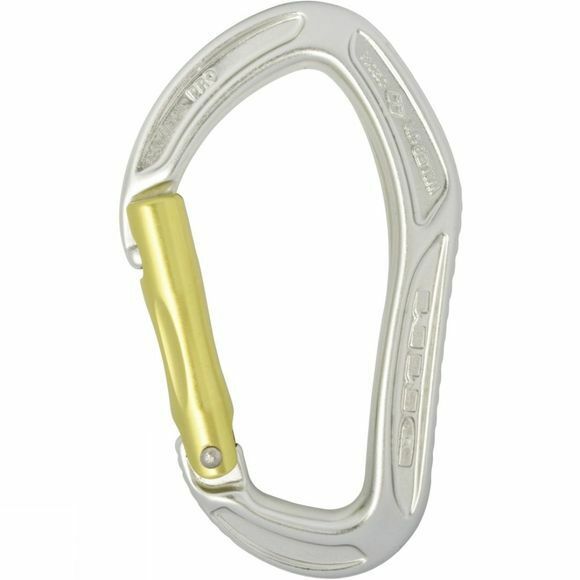 The distinctive shape of the carabiner is no accident. The kinked back bone and grippy groove pattern on the apex of the spine are there for a reason. These biners are very easy to handle – something you are certain to appreciate when stretching up to make that just-in-reach, gripper clip.